The work of the National Neurology Advisory Group – who are the stakeholders and decision makers now? Opportunities the new commissioning systems afford neurology services – who owns neurology commissioning? What’s the latest on STPs and vanguards – does neurology have a place at their table? Commissioning Excellence is a directorate that focuses on service redesign and stakeholder engagement with the NHS and third sector. It provides expert commissioning support services through a model of co-production, as one of NHS England’s recognised niche specialist providers. Led by Sue Thomas, its vision is to be the recognised expert and partner of choice for commissioning support, particularly in the field of neurology. It ensure patients have access to the right services, in the right place, at the right time. She has been an expert advisor to numerous Department of Health work streams and NICE, as well as having a place on the Board of the Royal College of Physicians’ former National Council for Chronic Conditions. She also gives evidence to many national strategic reviews including All Party Parliamentary Groups, the Public Accounts Committee and the Royal College of Physicians. 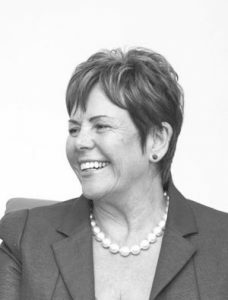 Sue has led numerous service transformation projects in both primary and secondary care as well as providing commissioning mentorship to numerous other voluntary sector organisations.